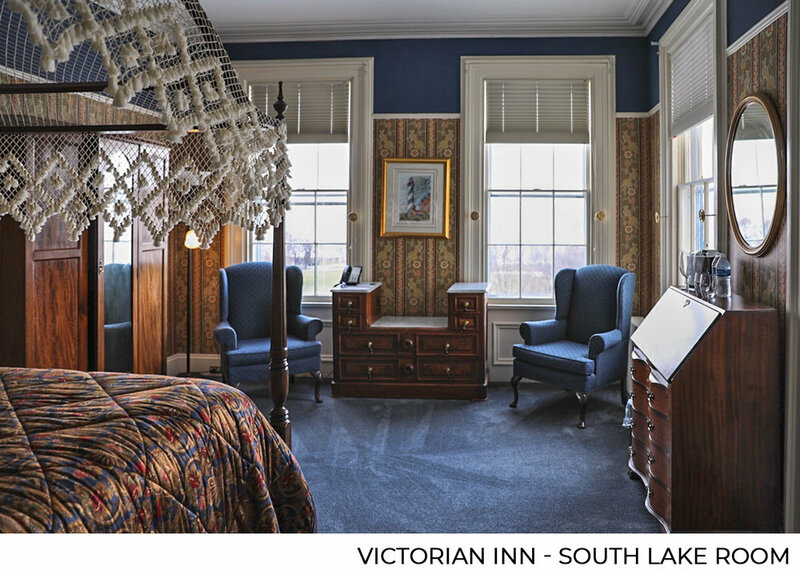 Transport yourself to another era when you stay at this beautiful Victorian Inn. Overlooking Cayuga Lake, next to the Taughannock Falls State Park these exclusive rooms are meticulously appointed with antique beds, fine bedding and antiques. Many rooms have been restored or upgraded with new marble bathrooms. A beautiful lounge next to the guest rooms is available only to hotel guests residing on the floor to enjoy for reading or cards, chess or backgammon. It's a great place to try the Finger Lakes wine your purchased earlier in the day as you socialize with others. To perpetuate a quiet environment, and remain true to the era of the home, there are no televisions in any rooms (except for the Falls Suite at the very end of the hall). If you must have a TV, we suggest you look other building on our campus such as Edgewood or Hillside. 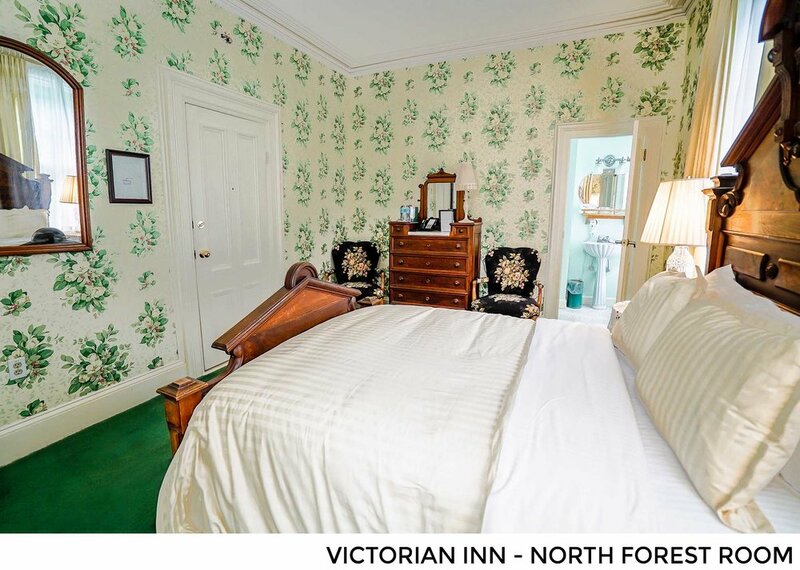 All guest rooms within the Victorian Inn are located on the second floor and require climbing a flight of stairs. Guests with mobility issues may want to consider staying at Edgewood, Hillside or Parkview. 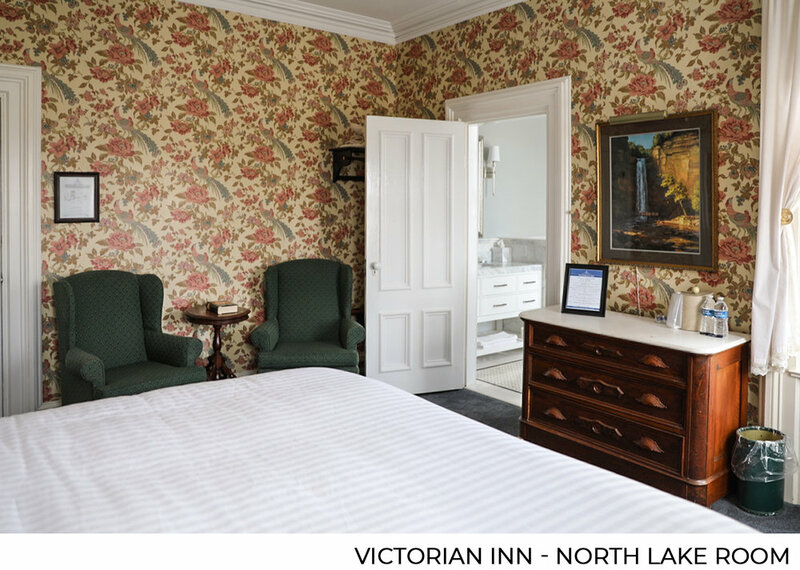 This Victorian Inn has a charming mahogany bar, adjoining a deck with fire pit and amazing view of the lake. Our World-class restaurant is conveniently located on the first floor of the Victorian Inn and is open in season on Thursday through Sunday, for dinner from 5PM to 9PM and open for Sunday Brunch 11AM – 3PM. All our hotel guests enjoy the stunning views of Cayuga Lake from our restaurant every morning as complimentary breakfast is served from 8AM to 10AM. Our front desk staff is located within the lobby of the Victorian Inn and operate the front desk Monday through Wednesday 7AM to 7PM, Thursday through Sunday we remain open 7AM to 11PM. Click on the photographs below to enlarge. Click the photographs below to enlarge. 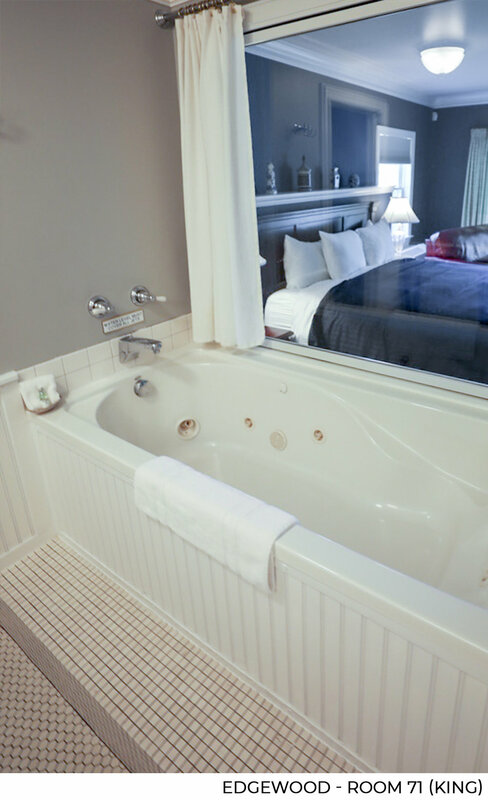 Featuring a lake view balcony in every room, there is no better way to experience the Finger Lakes. The classic modern style of the Edgewood suites offers views unlike any other. Minutes from Ithaca, and under an hour from Geneva, Watkins Glen and Seneca Falls, each room boasts an intimate private balcony with stunning lake views. Most agree that there's no need to leave, as guests have the option of a luxurious Queen bed, or an upgrade to a King bed room with built in spa hot tub. Offering comfortable modern appointments including televisions, air conditioning and a kitchenette in every room, and complementary use of our laundry. 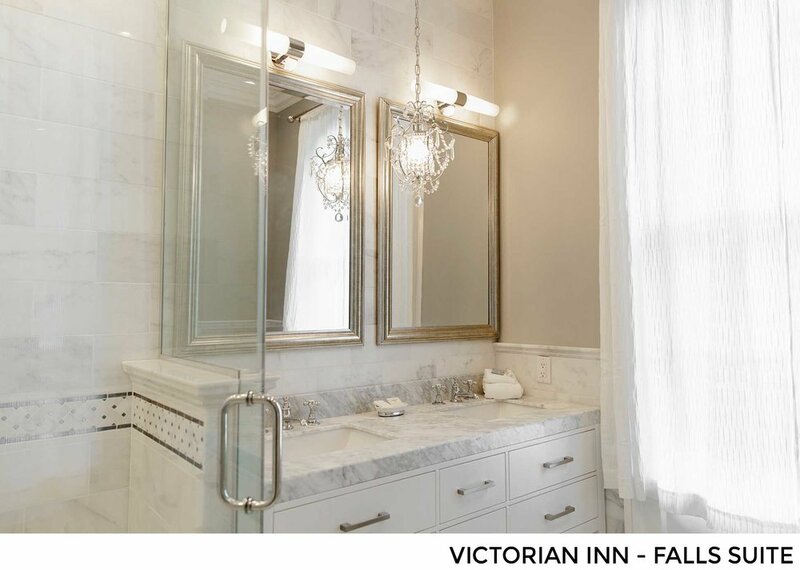 Of course, your stay includes a continental breakfast, served every morning in our beautiful Victorian Inn from 8AM to 10AM. Edgewood is one of the best selling overnight destinations along the Cayuga Wine Trail. The following rooms offer two queen size beds and have adjoining passage doors into the king room next door: Room 72, 74, 82, 84. 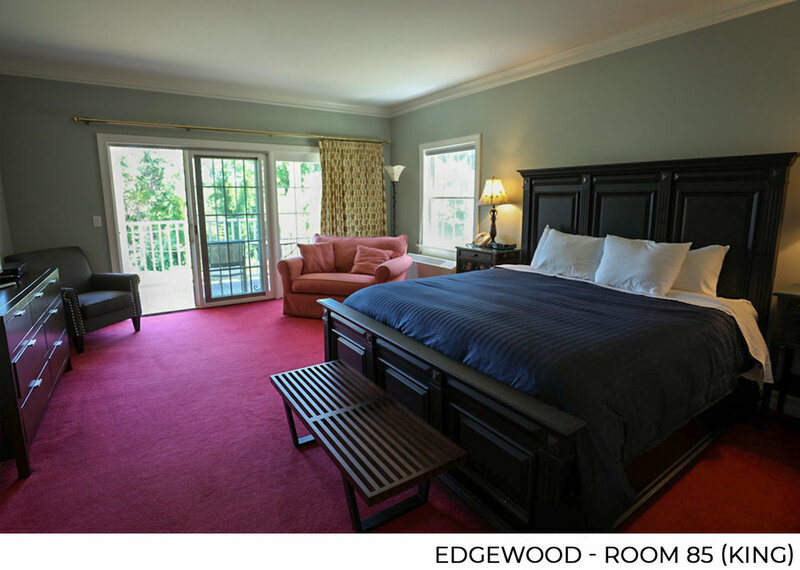 Upgrade to a corner room in Edgewood that features a King size bed. Corner rooms (71, 75, 81, 85) feature stall showers and jacuzzi spa tubs. The following rooms offer a King size bed: Rooms 71, 73, 75, 81, 83 and 85. 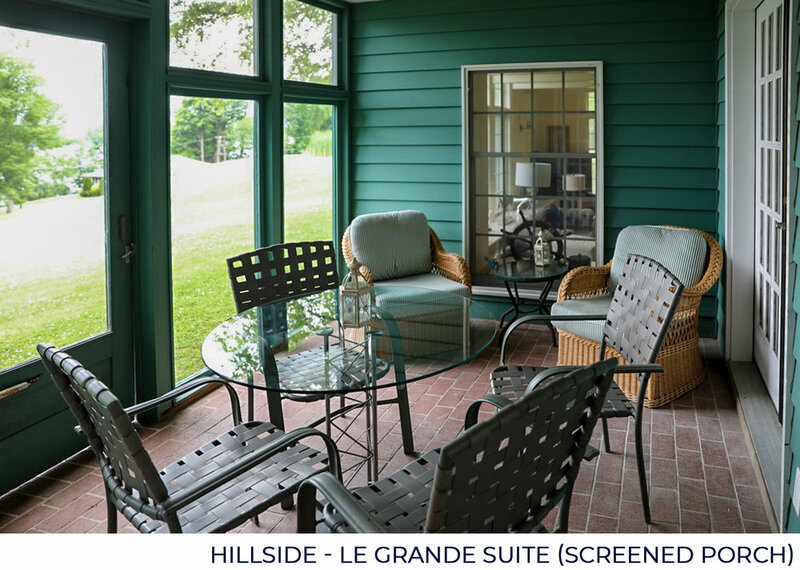 Our Hillside private home is located within Taughannock’s campus and is available to rent in its entirety or on a room-by-room basis. This spacious Cape Cod home has just received a major renovation. 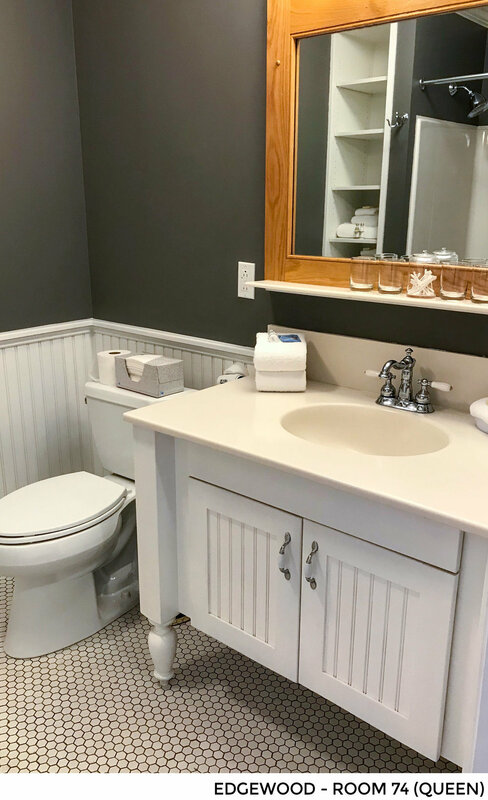 Guests may rent the entire house which includes a spacious living room with all new furniture, a wet bar, 65” flat screen television and expansive windows offering views of Cayuga Lake, a shared dining room space, breakfast room and fully equipped modern kitchen. The entire home has six bedrooms and can sleeps up to twelve people in one of the three bedrooms with king beds, two bedrooms with queen beds and a bonus room with two twin beds. Most bathrooms have been remodeled, with marble. 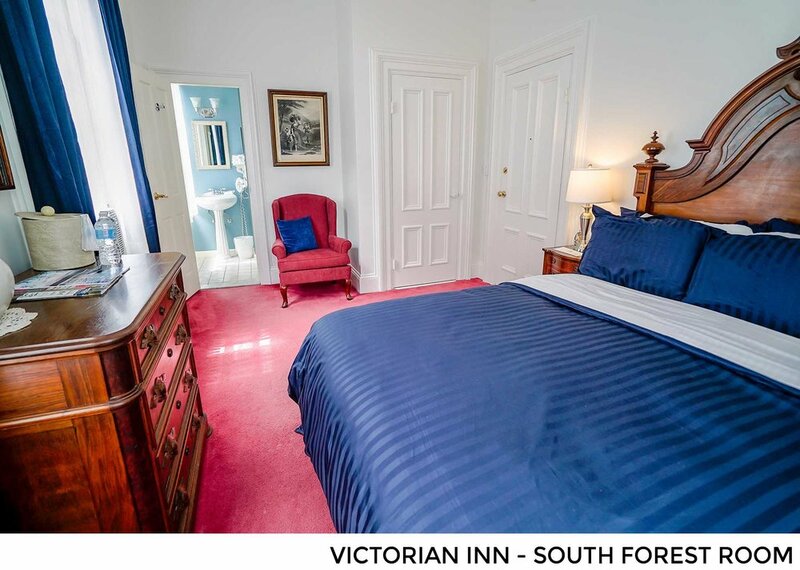 Hillside guests are entitled to all the hotel amenities such as, complimentary laundry, continental breakfast served daily at the Victorian Inn restaurant 8AM-10AM and daily maid service. The Hillside's driveway is conveniently located just steps away from the front door, close to all guest quarters. The large back yard is a perfect place to enjoy with your family or friends gathered around your own real fire pit, or share a bottle of wine under our charming pergola as you enjoys the calming pond it overlooks. Pre-arrival shopping services - Email us your grocery list and it will be waiting for you upon your arrival. In-house catering, scheduled room service or our chef can prepare a private meal for your group. Complementary use of our laundry facilities or we can provide laundry service. Customize the house for your personal needs. Once you rent the Le Grande suite, you can add additional rooms on an a la carte basis. If rooms are available. 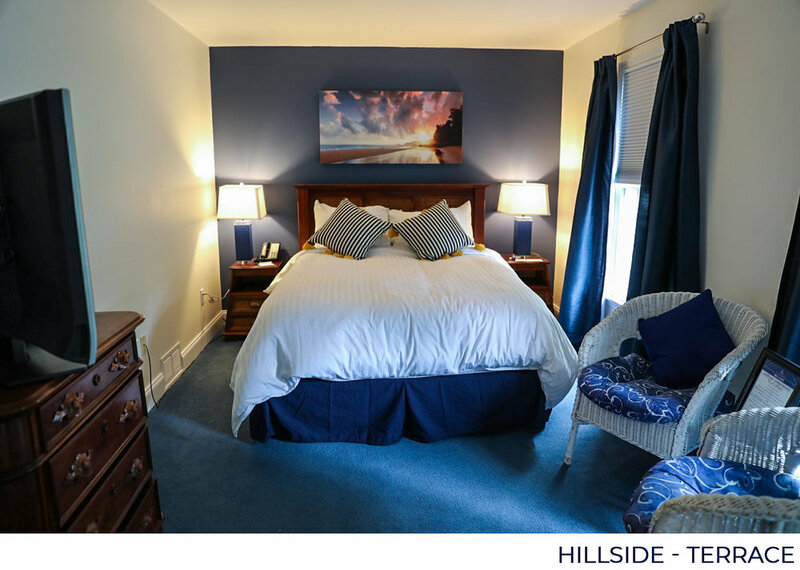 The Hillside home is a short walk to the majestic Victorian Inn, which operates a world class restaurant, typically open Thursday through Sunday for dinner during our season, reservations are recommended. The hotel has a beautiful cozy mahogany bar which remains open most nights until 11PM, and opens out to an inviting porch and gas fire pit. All hotel guest are invited to join us by the fire, you're sure to meet interesting people from around the world. A easy stroll down our private pathway, is a short cut to Taughannock Falls State Park, one of the most majestic locations in the Finger Lakes region. Everyone is impressed after they visit the Taughannock's waterfall, one of the tallest in the country. The park also offers swimming, playgrounds, BBQ, picnic tables, fishing, hiking trails and boating. Another attraction is the nearby Black Diamond Trail that offers a 7-mile bike or walking path to Ithaca. Named after the long abandoned coal line that brought energy to Ithaca during the turn of the century, this pathway is a big hit with our visitors. Please view the luxury living room, dining room, breakfast room, screened porch and kitchen. First Floor / Le Grande Suite - This is the best of our best on the property. A lavish one bedroom home with a beautifully decorated living room arranges to include a fireplace or 65” TV. Just steps away from a fully equipped new kitchen. The space includes a large dining room table which seats ten and a breakfast room table for six on the first floor. JUST RENOVATED, this suite has everything and is sure to impress! Walk upstairs to the second floor to find the master bedroom with an remodeled on-suite bathroom, Jacuzzi tub and separate shower. Looking to expand the suite? Need more bedrooms??? 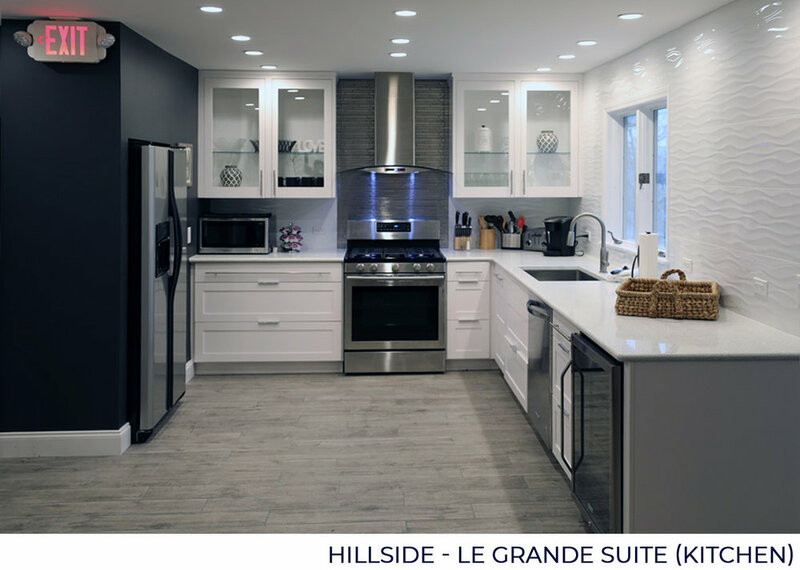 If you are renting the Le Grande Suite and want to expand, check out the Rose Suite first. It's the perfect choice, since the rooms adjoin on the second floor and you’ll never have to leave the inter-sanctum of your suite to enjoy the extra space. 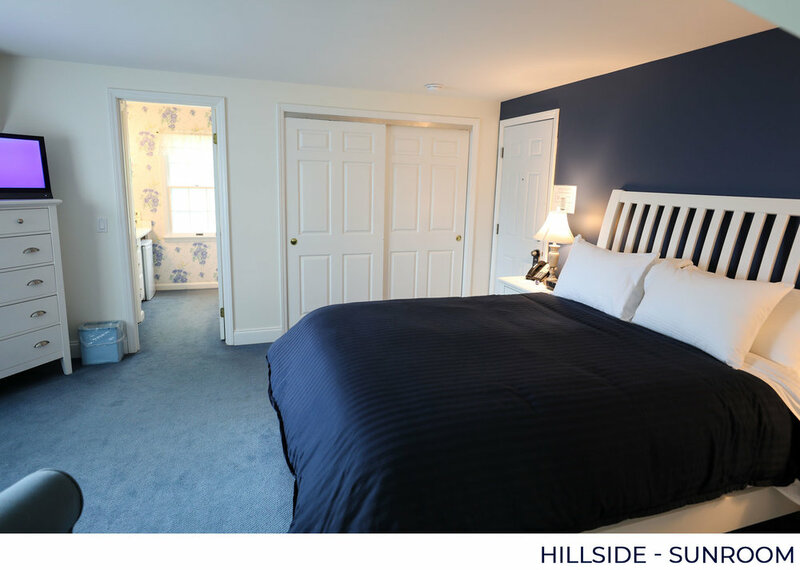 Additional rooms are available at Hillside on an a la carte basis. Second Floor / The Sun Room - Early riser..?? This room earns its name, every morning. This queen sized bed faces east and the majestic Cayuga lake, a perfect place to enjoy the orange sun rise each morning. The room also has a pullout love seat sofa bed, flat screen TV and most cable stations. Water & keurig coffee maker standing by. First Floor / LakeWatch - This new bedroom is beautifully appointed with a four poster king size bed, 400 thread count damask sheets and duvet cover, and a new and spacious marble bathroom with a huge walk-in shower with multible shower heads. 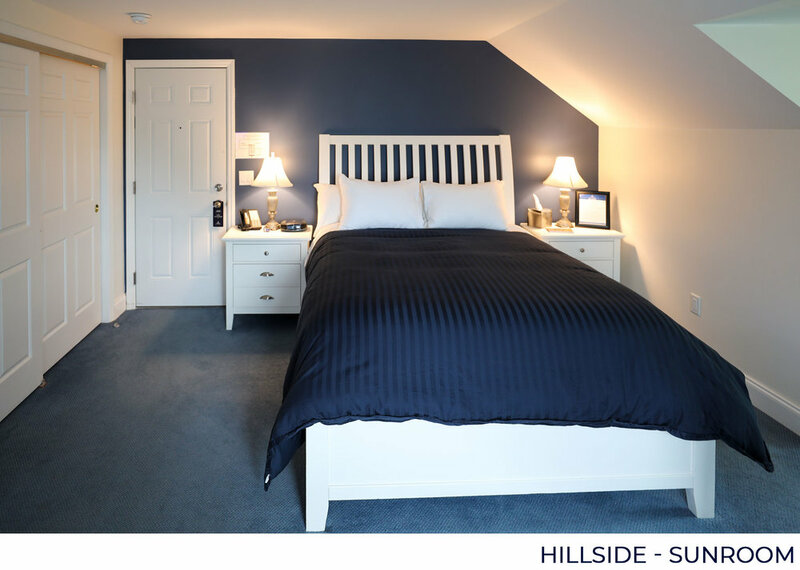 All rooms in Hillside have flat screen TV's, cable stations and keurig coffee maker. Second Floor / The Rose Suite - This renovated bedroom suite has a new king size bed and shares a common room that has a pullout love seat sofa bed and a flat screen TV. Also attached is a bonus second bedroom which has two twin beds, perfect if you’re traveling with children and want a little privacy. The two bedrooms are always rented together as the Rose Suite. The suite includes a new marble bathroom, with multiple shower heads which is sure to impress. Need more bedrooms??? Rent the Le Grande Suite if you want to expand, both suites adjoin on the second floor and you’ll never have to leave the inter sanctum of your suite to enjoy the extra space. First Floor / Terrace Room - The smallest room in the house, its cute as can be!!! The queen bed has new bedding, blackout curtains and a new Carrera marble bathroom. Of course it has a flat screen TV, cable and keurig coffee maker. Spend your vacation on the Taughannock Falls State Park Gorge Trail at our pet-friendly hotel! Wake up to the sound of birds and wildlife at your door. Step outside and take a breath of fresh air while listening to the sound of rushing water. 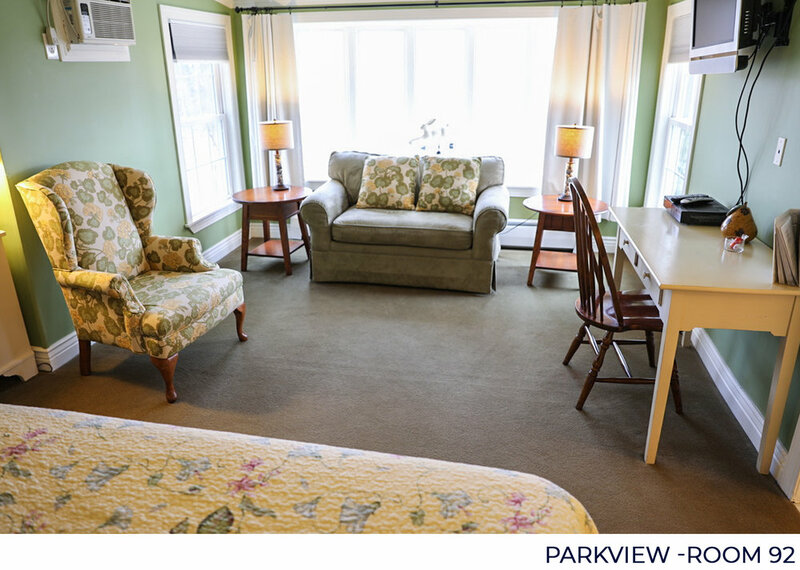 No, you're not camping in the wilderness - it's all in a perfect night's stay at the Parkview suites at Taughannock Farms Inn. You'll be transported to the trail when it's steps outside your door, but with air conditioning, luxury linens...and running water! 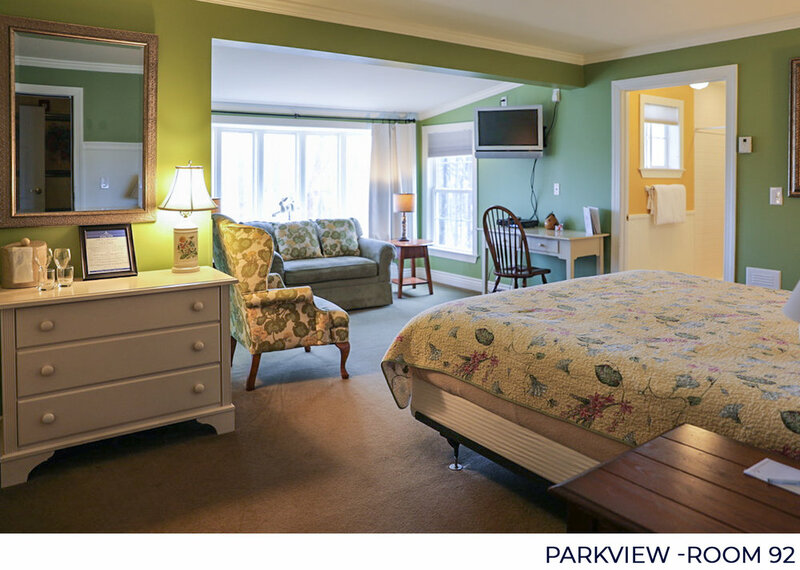 Parkview is also our pet-friendly hotel, equipped with dog beds and dog bowls for your canine companions. Make your "tails" at Taughannock memorable at Parkview! We are building the quintessential bridal suite with a spacious living room with vaulted ceilings, hardwood floors and a working fire place with great views of Cayuga lake. The bedroom suite looks out at the lake and has a large marble bathroom and private massage rooms. The rest of the building has a fitness center and a dedicated beauty salon..! When looking for a reservation for your large party, call us at the Inn at Taughannock. The perfect destination for your guests, we specialize in hosting groups for weddings, small conferences and events. Enjoy the beautiful surroundings of Taughannock Falls State Park, and enjoy the luxury on-site fine dining to make your group overnight easy and comfortable. We are happy to discount large parties or corporate retreats. Please contact our front desk with the date and amount of rooms needed and we will be happy to return your call with the best discount we can provide given the time of the season. Deposit Policy: In order to hold your room reservation, we are required to collect a deposit (equaling 50% of the total amount of your stay), payable immediately after your reservation has been placed. Cancellation Policy – Full refund of deposit, Guests must cancel 10 days before arrival: Hotel guests seeking to cancel their reservations must contact the front desk, 10 days prior to your scheduled arrival to secure a full refund of the 50% deposit we collected when confirming your reservation, less a $15 cancellation fee, per room, per night. Be sure to receive a cancellation code, as your receipt confirming you are compliant and cancelled your room reservation without penalty. Loss of Deposit: Any guest cancelling their reservation between 9 days and 48 hours prior to your arrival will forfeit their entire deposit (50% of the total reservation) collected at the time their reservation. Please contact us before 48 hours in advance of you check-in date and we will be delighted release your room and not charge you on the balance of your remaining reservation. Be sure to receive a cancellation code. Forfeiture of remaining balance: Any guests who cancel their room reservation at the last minute, after 3 PM, 48 hours prior to your arrival, will be charged for the balance of their remaining reservation. No-Shows: Guests failing to arrive for a confirmed reservation without cancelling and receiving a cancellation code will be charged for their entire stay. Your reservation will be held until 10:00 AM the day following your arrival date, after which the room will be released. No adjustments will be made for a no-show. Change in Reservation Dates: In the event to wish to reschedule your arrival to a different date, deposits may only be applied to a one-time date change, and must be done 48 hours in advance of the original arrival date. However, the deposit then becomes non-refundable on a per room, per night basis. Subsequent changes are viewed as a new booking with new deposits required. Extra Person(s): Room rates are based on a double occupancy and not all rooms can accommodate a third or fourth person. If you need to add an additional person(s) to your confirmed reservation, please contact us in advance to see if we can accommodate this change. Additional guests or use of pullout sofa beds will result on an additional charge of $25 per person, per night for each extra person staying in a guest room. Please let us know if you add additional guests so we can provide more towels and other toiletries to accommodate your party. Front desk hours - Arrivals & Departures: We do not operate a 24-hour front desk, our hours of operation off season are 9AM to 5PM during the week. Once the restaurant re-opens for the season, (usually Easter weekend) the front desk will remain open 8AM to 7PM Monday through Wednesday and will remain open until 11PM, Thursday through Sunday evenings. Check in/Check out: Check-in is at 3PM, if you anticipate arriving “After Hours” when our front desk is closed, please contact us so we can make arrangements to accommodate your after hours check-in. Check out time is 11AM. Guests who depart earlier than specified in the confirmed reservation will be charged for the full duration of their stay. Dinner reservations: Our restaurant opens for the season on Good Friday, April 19, 2019, and operated on Thursday through Sunday, between the hours of 5PM and 9:30 PM. Chef Tom Leonard, offers a wonderful selection of classic American cuisine with a Mediterranean influence and our dining room offers stunning views of Cayuga Lake. We always extend preferential treatment to our hotel guests in accommodating their requests, so please call us to make your dinner reservation. Wi-Fi: Free Wi-Fi service is available for all guests. Gift Certificates: We only accept Inn at Taughannock and Select Registry gift certificates. All gift certificates must be presented at check-in in order to receive credit. 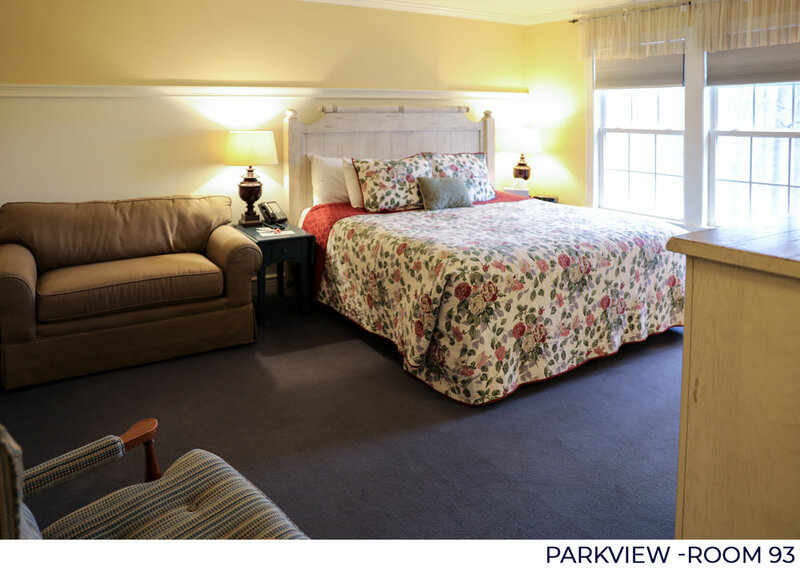 Pets: Pets are welcome ONLY in our Parkview guest rooms and require a $50.00 fee per pet/per day, as well as a $300 deposit that will be returned upon departure if there is no damage. If pets are found in any other guest rooms, we automatically charge $250 cleaning fee to your final bill. . Please contact the front desk if you have a pet. Smoking: The hotel maintains a strict no smoking policy for all rooms and guest house. If there is evidence of smoking, there will be a $200 cleaning fee added to your final bill. Additional Cleaning: We reserve the right to charge an additional cleaning fee should you leave the room in a unsatisfactory manner that exceeds normal standards. Keys: For the safety of our hotel guests, please return all your room keys. Any unreturned room keys, guests will be charged a $50 fee per missing key. 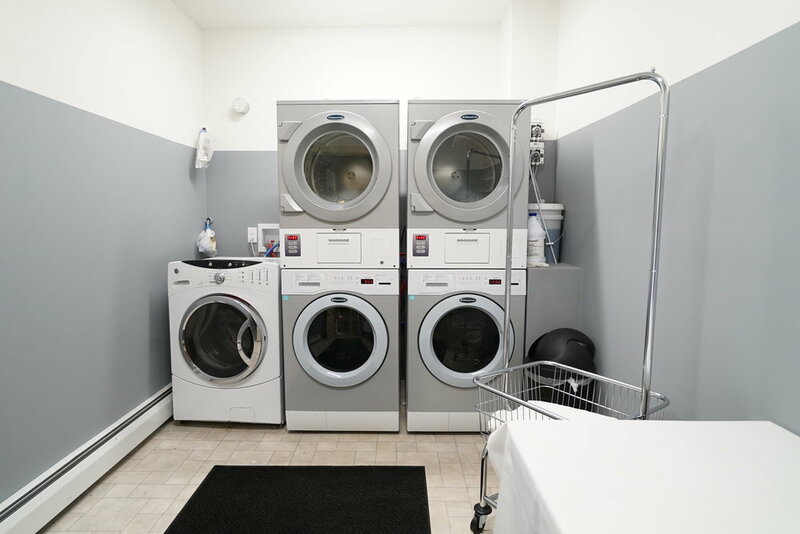 Laundry Services: We offer our hotel guests complimentary use of our laundry facility, including soap that is automatically dispensed. See front desk to gain access to this amenity. Guest Transfer Charges: Any restaurant or bar charges transferred to your room will automatically be added to your bill and may be collected after you checkout. Complimentary Continental breakfast is served in our dining room daily from 8AM to 10AM, our gorgeous panoramic view of Cayuga Lake and amazing freshly ground coffee, make it worth getting up in the morning.